Lincoln Street Beach. The beach’s ownership is up in the air. 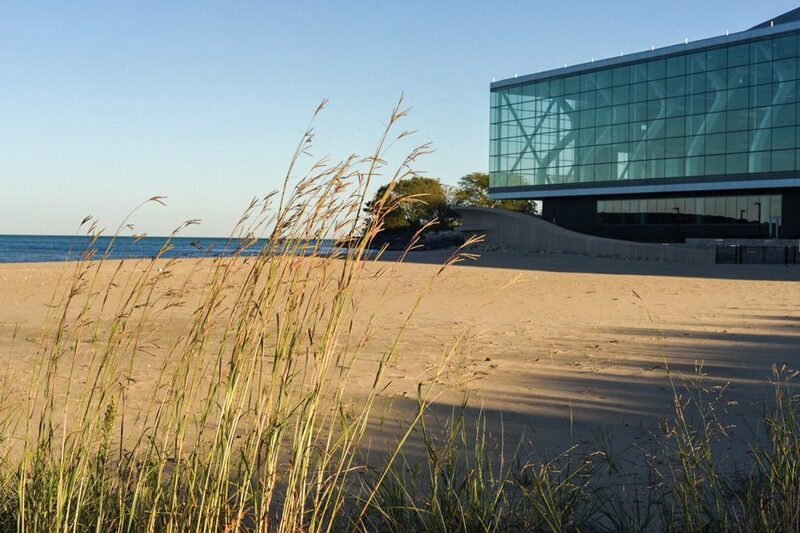 For decades, Northwestern students had near-exclusive access to a beach on north campus. The Lincoln Street Beach, formed largely due to lake bed shifting that occurred after Northwestern began constructing the Lakefill in the 1960s, was considered University property until 2015. Then, NU built the behemoth Ryan Fieldhouse with thousands upon thousands of square feet of concrete and steel — and turf — that again raised the issue of who owned the plot of sand on the northern edge of campus. The property, which abuts the city’s water treatment facility and was previously known as the Northwestern Beach, reopened this summer once construction of the athletic complex was complete. Although the new beach is bordered mostly by campus and is set off by University-built gates, Bobkiewicz said it certainly isn’t Northwestern’s property, but isn’t the city’s either. Once the sand funneled up from the lake bed and plopped onto land, it seemed to become state property by default. State officials could not be reached for comment. Evanston resident Jeff Smith, who ran for mayor in 2017, was general counsel for Illinois Department of Natural Resources for close to two years. Smith (Weinberg ’77) said that under the law, any sand that accretes naturally and forms land is the property of whoever owns the abutting lakefront. Any sand that builds up to form land due to construction of something in the lake, like the Lakefill, is under the state’s jurisdiction. This summer, the beach was staffed by Northwestern lifeguards, although residents with an Evanston beach token were allowed access. All seemed well, Bobkiewicz said, until residents raised questions over whether it was proper for the University to operate the beach. Ald. Eleanor Revelle (7th), whose ward encompasses much of north campus and the beach, said residents are looking to make the beach as accessible as others in the city. University spokesperson Bob Rowley said while the beach is surrounded by fences during the off-season, the gates are unlocked and the area is open for people to walk. The complex land ownership issue, Rowley said, remains under discussion. Currently, the discussions are on the back burner. Not only is fall budgeting season for the city, but there also isn’t a lot of swimming going on in Lake Michigan right now — water temperature for Monday was in the 50s. Bobkiewicz said he hopes Northwestern, Evanston and Illinois Department of Natural Resources officials will hash out the issue by next summer. Revelle said she doesn’t expect the state to maintain the beach, and hopes at some point it can come under city ownership. “I think there’s still a lot of unanswered questions here,” she said.